Vacation Barefoot Travel Blog: Take a cruise, to Cuba! Take a cruise, to Cuba! Have you been itching to visit Cuba with our recent relations between the nations warming up? You're not alone. 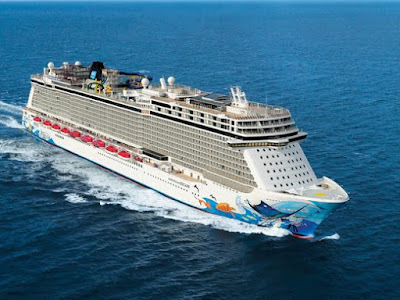 And Norwegian Cruise Lines is no open for booking cruise stops in Cuba. Staring May 1st, the cruise line will debark out of Miami for a 4 day cruise that features an overnight stay in Havana! Take a cruise, to Cuba! Norwegian is one of six lines that received approval from the Cuban government this month to begin sailing to Cuba early next year. Visit them for yourself at https://www.ncl.com/cruises-to/cuba-cruises.